It's easy to get to Iowa City because the city is located at the crossroads of two major highway systems: the east-west Interstate 80 which crosses the breadth of the continent, and Interstate 380/Highway 218, known as the Avenue of the Saints because it connects Minneapolis/St. Paul and St. Louis. 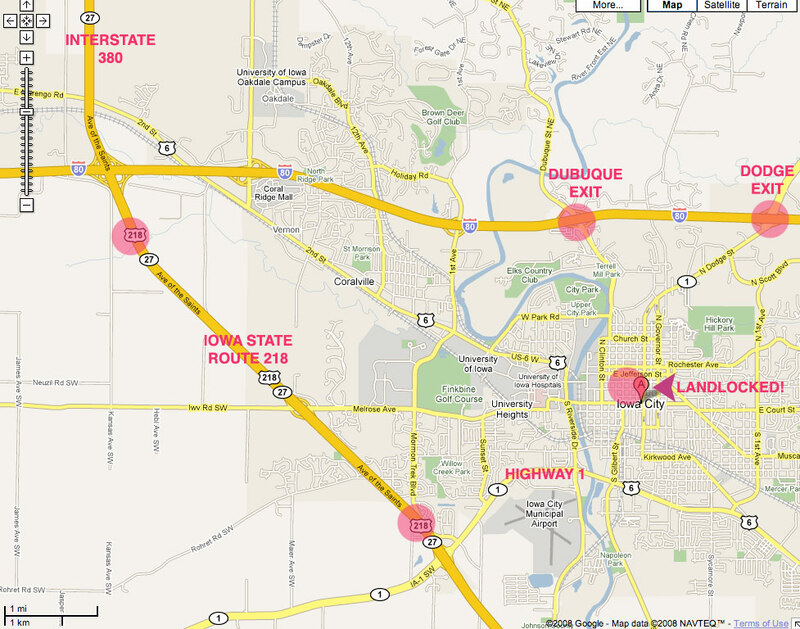 For a map of highways and exits into downtown Iowa City, click LINK. The closest is the Eastern Iowa Airport, 20 minutes from the festival venues. Moline Airport is about a one-hour drive and Des Moines Airport is about two hours away. Our flagship venue, the Englert Theatre, is on the National Register of Historic Places. 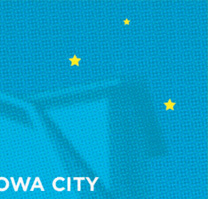 With a compact, pedestrian-friendly, and historic downtown, Iowa City is a perfect spot for an independent film festival. The festival also uses the Iowa City Public Library which has superb facilities, and the next-door Sheraton Iowa City and the ultra-modern boutique hotelVetro. Need a map? Go to this page or click on the map above and then fill out a simple form in order to download an awesomely detailed and huge e-map of the whole area. For a map of highways and exits into downtown Iowa City, click LINK. The two closest hotels -- in fact right in the same block as Landlocked -- are the Sheraton Iowa City and the hotelVetro. The Iowa City/Coralville Convention & Visitors Bureau has an excellent and comprehensive list of places to stay in the area. 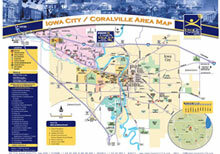 Coralville is a sister city of Iowa City, and even if you stay in Coralville, it's a quick drive or bus ride into downtown Iowa City. Coralville has a wide range of chain hotels and motels, including Fairfield Inn, Days Inn, Hampton Inn, Holiday Inn Express and lots more. Many are on the inexpensive side. In downtown Iowa City, within walking distance of all festival venues, are several charming and unique B&B establishments as well as the Sheraton Hotel and hotelVetro. The full list is HERE. Downtown Iowa City has more than enough restaurants to keep everyone happy and well-fed. Here's a long list of dining and drinking establishments compiled by the Old Capitol Cultural District. Click for LIST.